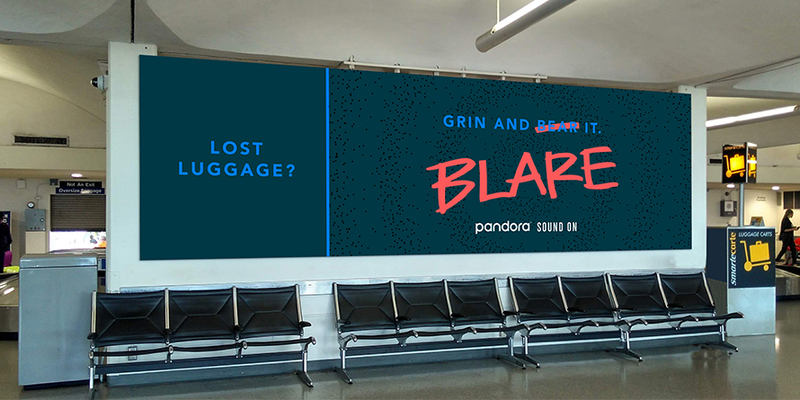 Pandora will run a series billboards in travel hubs like Atlanta, Nashville and San Francisco. The holiday season can make you feel all kinds of emotions—happy, excited, an impending sense of doom. Who’s to say? 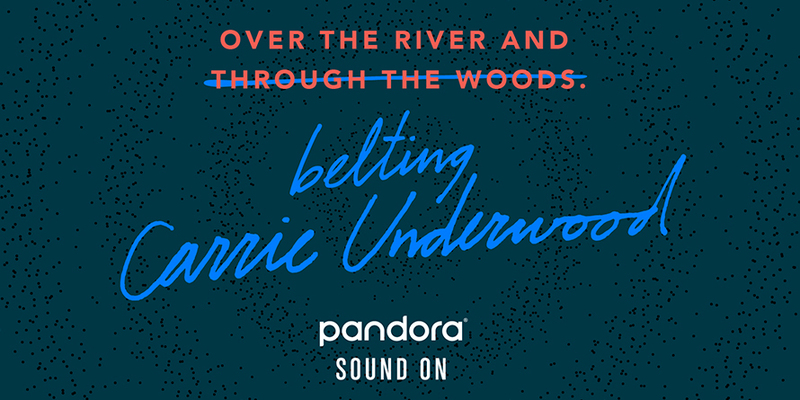 But no matter what you feel this holiday season, Pandora wants to remind you that things are always just a little bit better with music. 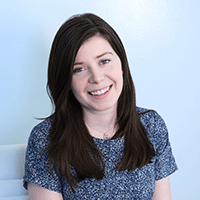 “Our consumer insight is that holiday travel is one of the most stressful parts of the holiday, but that there are moments within holiday travel that are meant to be celebrated,” Pandora CMO Aimée Lapic said. 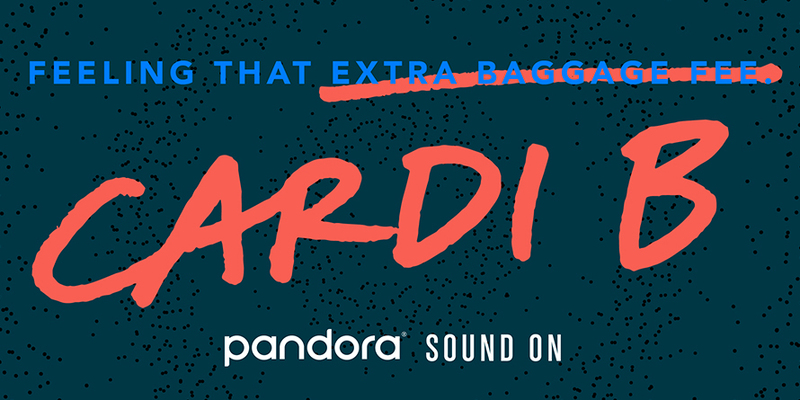 Pandora launched its new brand platform, “Sound On,” today to encourage travelers that during the best of times (like when you get that last-minute first-class upgrade or a free drink from your new favorite flight attendant) to the worst (lost bags, delays, children kicking your seat for six hours), a little bit of music can make all the difference. The campaign will run through January 2019 in a number of cities, including San Francisco, Atlanta and Miami. The goal is to be everywhere people go for travel—on airplanes, in baggage claim, on buses, subways and so on. It’s also very important to the brand that the ads are culturally relevant to the cities where they run. For example, creative for Atlanta focuses more on hip-hop, while Nashville skews more country. “The idea here is not about the content of the campaign; its about the context of the campaign,” Lapic said. 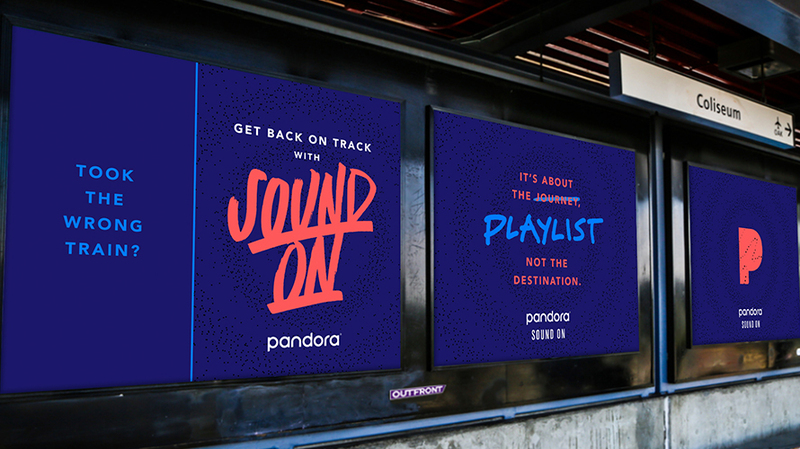 Pandora’s in-house creative team worked on the new brand platform, creating a whopping 1,200 different pieces of content to run in the selected markets. For Lapic, turning to the in-house team for the project was an easy decision. According to the CMO, Pandora’s in-house group creates an estimated 85 percent of the creative, from display to audio ads, for brands that advertise on Pandora. “We felt very confident that they could take those skills and apply them to our own campaign because they just have that expertise on who the customer is,” Lapic said.